Empire of Reason: Empire of Truth; reason or truth as governing principles. Empire is the Latin imperïum, a jurisdiction, and an emperor is one who holds command. This entry was posted in devotional contemplation. Bookmark the permalink. 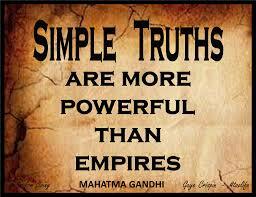 ← Empire and Truth. It is not what you think it is.